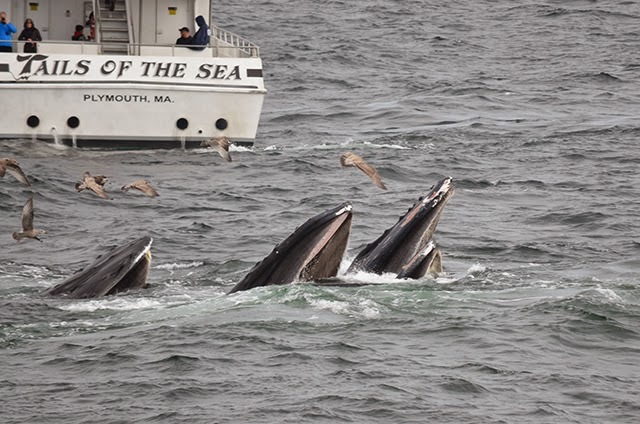 We had another awesome whale watch this afternoon out on the southwest corner with lots of bubble net feeding. We started off our trip watching Wizard and her 2014 calf. Wizard was actively bubble-netting while the calf followed closely behind. 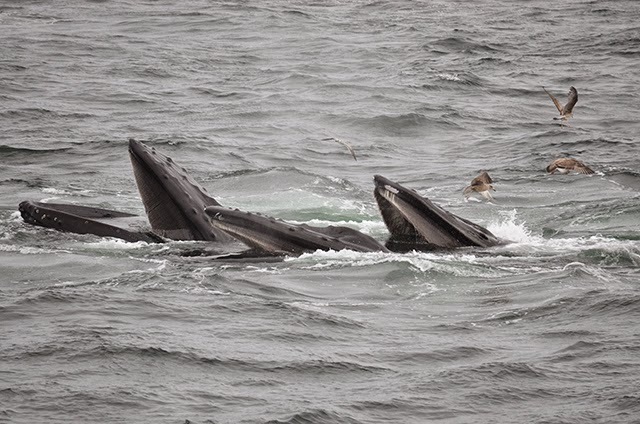 There were a lot of other whales in the area too so we decided to see what other humpbacks were in the mix today. As we changed our focus, we saw Baja and her 2014 calf doing a similar behavior as Wizard and her calf. 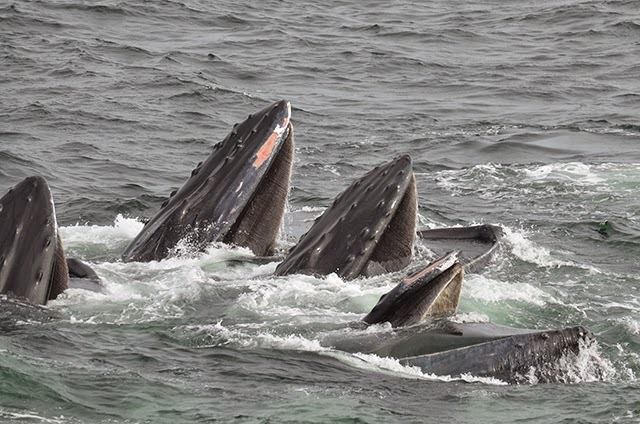 In the area, there was also a larger group of whales who were joining and splitting left and right. We saw Salt, Midnight and calf, Milkweed and calf, Dome and Colt who were bubble netting up a storm. It was really easy to keep track of where the whales would pop up next because of the massive amount of bird activity in the area. We would notice the birds taking flight and hovering over an area, then a bubble net would form beneath them and the whales would surface like clock-work! Great to have some extra help from the birds today! There really wasn’t a dull moment out on the water today. The whales were concentrated in this obviously productive area. Hopefully the fish populations will stay strong for a while, because the sightings lately have been exceptional!